Employment contracts haven’t changed much since ancient Roman times: they’re all about showing up and doing the job, not about whether the job will be satisfying or whether the employee will get the tools and authority they need to do . 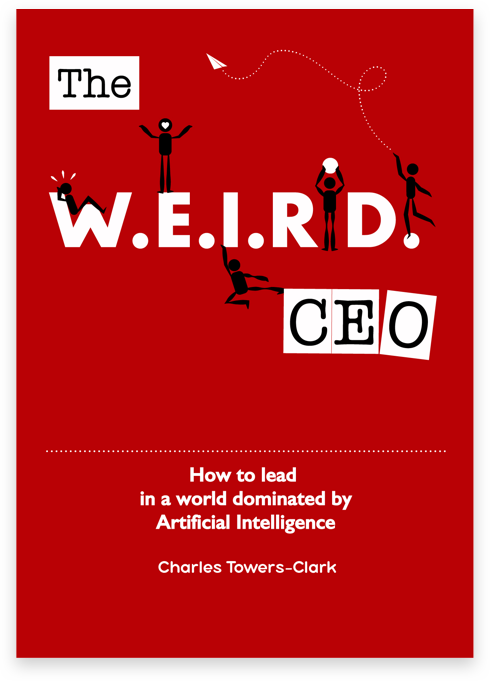 . .
Interview with Jeremy Cowan from IoT Now talking about WEIRD CEO and why we need to change, in order to deal with a new working world dominated by Artificial Intelligence. Wandering through the office one day, I overheard a conversation about our holiday policy between two developers and couldn’t help but smirk to myself: A: ‘I don’t know what to do about my holidays.’ B: ‘What’s the problem?’ A: ‘I . . . The rising value of data has changed the business landscape forever, and companies have migrated en masse to the (theoretical) unlimited capacity of the cloud. As IoT devices have started to pump more data through networks and into the cloud, . . .
Big Data, AI & IoT, Part Three: What’s Stopping Us? This series of articles has looked at the promise of Big Data, AI, and IoT, and how they all make up one ecosystem. So after looking at the benefits of these technologies in specific environments, it is worth a review of the . . .
What comes to mind when you think of a factory? A dark Victorian mill? A Charlie Chaplin skit? Or a roboticized production line? Industrial manufacturing has consistently been a marker of progress, acting as a sign of the times as . . . Since computers were first invented people have been looking for ‘the next big thing.’ Now, as close to half the world owns a phone faster than the earliest supercomputers, it is difficult to keep track of what we should pay attention to. While . . . The healthcare sector is facing a host of severe problems that do not have one overarching solution. Globally there is a shortage of 7.2 million healthcare workers, and a rapidly aging population will only add more strain to the doctors that remain. New . . . Emotions are our most human quality, but what if we could teach AI to understand our feelings? The goal of artificial intelligence (AI) research has shifted over the years; to compute what humans could not, to beat us in specific . . .